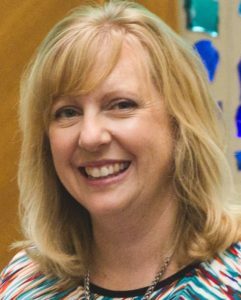 Kathleen Pritchard has extensive experience in collaborative planning, participatory evaluation, community engagement and applied research. She has worked in state, county, city and municipal government in addition to the nonprofit sector and pioneered work in measuring outcomes for the local and national United Way system. Katie holds a Ph.D. in Political Science and a Master’s Degree in Public Administration. She specializes in helping clients ask the right questions, find the right data, and use it to address community issues. She recently led the effort to re-invigorate Milwaukee’s membership in the Urban Institute’s National Neighborhood Indicators Partnership. Katie serves as Executive Director and President of Data You Can Use. Dr. Pritchard works with the Community Development Alliance to identify neighborhood indicators, the Turning the Corner Cross Site project and the Community Based Crime Reduction (CBCR) initiative in the Amani neighborhood. Carrie Koss Vallejo has worked in Milwaukee’s non-profit sector for over ten years. She has a Bachelor’s degree in Political Science and International Studies from the University of Wisconsin Milwaukee. She served as the principal researcher in identifying and documenting free and community clinics in Milwaukee and has additional experience in documenting needed services and identifying service gaps. 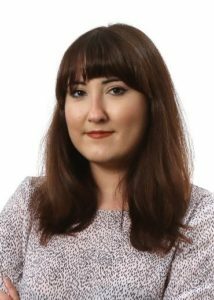 Carrie has served as a community health worker and collected data on the sensitive subject of children’s mental health. Carrie excels at helping people navigate choose the best data sources to give context to their stories and credibility to applications. Her expertise includes mapping and data visualization. Carrie creates neighborhood data portraits, and contributes to the Community Based Crime Reduction (CBCR) initiative, the evaluation of the Task Force on Human Trafficking, and partners with Data Dream contest winners. 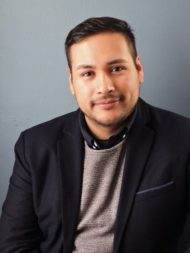 Gerardo Mares received his bachelor’s degree from Indiana University in Social and Behavioral Sciences, and his Master’s in Criminal Justice and Criminology from Loyola University Chicago. He worked as a crime analyst for the Milwaukee Police Department, focusing on strategic and spatial analysis to understand the relationship between crime and geography. Gerardo instructed national police departments on crime analysis in El Salvador, Mexico and Panama. Previously, he worked as a bilingual research assistant for a psychology study on disruptive behaviors of preschool aged children exposed to violence and trauma. Gerardo also assisted in a research study on the effects of violence at the neighborhood level in Colombia, and researched Hate Crime victimization of LGBT communities in Chicago and Milwaukee. Gerardo’s work with diverse immigrant populations contributes to his interest in cultural composition and public safety from an international perspective. Current p interests include: crime patterns, victimology and mental health at the neighborhood level. Gerardo is currently working on the Healthy Neighborhoods Initiative, the neighborhood indicators project, and mapping data for the Blueprint for Peace. He also partners with Data Dream contest winners. Salma Abadin is the Community Teams Program Lead with the Healthy Wisconsin Leadership Institute. In this role, Salma provides public health leadership training, education, and technical assistance to advance health equity across the state and support Wisconsin communities and their community health initiatives. Previously, Salma served as the Violence Prevention Research Coordinator with the City of Milwaukee Health Department where she led research and data analysis for violence prevention using a public health approach. As a Wisconsin Population Health Service Fellow from 2015 to 2017, Salma gained experience in local health department accreditation and an interdisciplinary, catalytic social change group with leaders from public health, community development and criminal justice. Her skills include data analysis, data visualization, and relationship building and preservation. Salma has her Master’s in Public Health from the George Warren Brown School of Social Work at Washington University in St. Louis. Salma is a member of the Delta Omega Honorary Society in Public Health. Salma works with meal programs and food pantries in promoting best practices and greater engagement. Mariam Ashour is Trinity Fellow at Marquette University. She is pursuing an MA in International Affairs. She also holds a BA in Business Administration with a minor in Studio Arts from Columbia College in South Carolina. Before moving to Milwaukee, Mariam worked at the International Monetary Fund and the Urban Institute in Washington D.C. In her most recent position at Urban Institute, Mariam was a project administrator for the Health Policy Center, where she provided assisted with editing policy papers and reports, project budgeting, proposal development, office administration, events coordination, and managing the department’s webpage. Kris Barnekow, PhD., OTR/L is the owner of Families First, LLC which provides occupational therapy consultation to organizations that serve young children and families. Dr. Barnekow works to support community organizations in the promotion of optimal childhood development through provision of supports and services for families. Topics on which she has published include: health literacy, early identification and screening for developmental delays and maternal mental health disorders, and the importance of engagement in shared learning opportunities during early childhood. 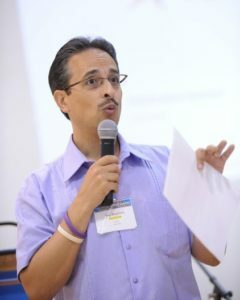 During the first round of the fatherhood project, Dr. Barnekow led the analysis of the focus group data and served as lead author on a manuscript titled: African American Fathers’ occupational participation: “Keeping the mothers in a positive vibe” published in the Occupational Therapy Journal of Research. Dr. Barnekow engages African American fathers in promoting health literacy. Anneliese M. Dickman is a policy researcher and program evaluator. Formerly, she was the research director of Wisconsin’s only non-partisan policy think tank. In addition to her experience in the non-profit sector, she has worked in state and local government. Ms. Dickman’s career has focused on issues impacting families in marginalized communities. She has published extensively on urban education policy including desegregation, charter schools, school choice and early childhood education. She also has expertise in violence prevention and civil rights issues. Ms. Dickman holds a J.D. from the University of Denver’s Sturm College of Law and a B.S. from the Massachusetts Institute of Technology. Anneliese leads the evaluation of the Milwaukee Joint Human Trafficking Task Force. Marques Hogans Sr. is a recent graduate of the Medical College of Wisconsin Master’s in Public Health program. He was chosen as a recipient of the American Evaluation Association’s Graduate Education Diversity Internship. He currently serves as a public health professional in his role as Health Educator for the City of Milwaukee Health Department. Although he primarily works with their Men’s Health Program, Marques gets involved in many efforts in Milwaukee’s communities with a goal of building a healthier Milwaukee. As a native Milwaukeean, he has knowledge of many of its assets and a strong desire to build on them. Marques engages African American fathers in promoting health literacy. 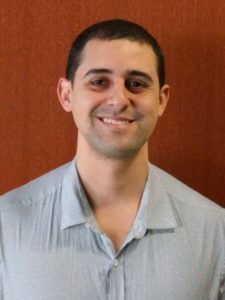 Eric Cerqueira Mendes is a information technology professional with a recent Bachelor’s degree in Industrial Engineering from Universidade Federal do Rio de Janeiro and an Associate’s degree in Mechanics from Instituto Federal Fluminense, both in Brazil. He held a prestigious internship supported by the Brazilian government at Arizona State University in order to work on Artificial Intelligence. He is very interested in Data Science, Economics, Mathematics, and Political Science. Eric received honorable mentions for his participation in the Brazilian Mathematical Olympics 2009. Eric is a capable developer who uses VBN and Tableau to clean and transform datasets into useful information. Eric is currently working on Milwaukee Public Schools data with Milwaukee Succeeds, and housing data sets with Jewish Family Services and RON. David Pate is a leading expert on low income African-American men, fatherhood, and child support. Dr. Pate studies how black men are affected by the social welfare system and the challenges that impede their ability to attain economic security. His research projects involve the use of qualitative research methods to examine life course events of non-custodial African-American men. This includes their ability to be gainfully employed, engage with their children, and sustain a good quality of life. Dr. Pate engages African American fathers in promoting health literacy. Julie Whelan Capell is a consultant focused on collaboration and participatory work in program evaluation, strategic planning, organizational development, fundraising and capacity-building with nonprofits. She holds a Master’s of Science degree in Curriculum and Instruction from UW Milwaukee, in addition to a graduate certificate in Public Health. Julie is a member of the American Evaluation Association and of the American Public Health Association. Julie has assisted in the growth and development of Data Days. Peter Zarimba, is an urban and regional planner who focuses on social policy and program analysis. He has worked for over 30 years as a consultant to government and non-profit organizations on a wide variety of housing and health and human services projects. Recently completed studies include a multi-year evaluation of the City of Milwaukee Housing Authority’s HOPE VI Program. He also developed a methodology to integrate program participation with neighborhood population level data as a Milwaukee-based consultant to the Annie E. Casey Foundation Making Connections Initiative. Peter is currently working with the Penfield Montessori Academy to develop their program monitoring and accountability reporting system. Peter works with Penfield and Jewish Family Services in improving data access and integration. Robert Ferriday III is retired CFO of United Way of Greater Milwaukee and Waukesha County, Inc. He is a member of the Finance Committee of the University of Wisconsin-Milwaukee Foundation, Treasurer of The Peace Learning Center of Milwaukee, member of the Next Door Endowment Committee and, appointed by the Mayor of Milwaukee, he serves on the board of the Historic King Drive Business Improvement District # 8. Bob has BS in Economics from Purdue University and an MBA from The Ohio State University. Robert serves as treasurer of the Board of Data You Can Use. Ian B. Bautista serves as the executive director of Milwaukee-area nonprofit the Clarke Square Neighborhood Initiative Inc. He has worked his entire career in the nonprofit and public sectors on the local, regional and national levels. Bautista resides in Whitefish Bay with his wife (Elsa) and daughter (Iana). Ian serves as vice chair of the Board of Data You Can Use. Tom Hlavacek retired in 2017 after a 35 year career in non-profit management, advocacy and public policy. Tom served for 10 years at United Cerebral Palsy helping people with disabilities move out of institutions and into their own homes in the community. He was then hired to establish a Milwaukee Office for the Wisconsin Coalition for Advocacy (now Disability Rights Wisconsin), the statewide Protection and Advocacy system for people with disabilities. 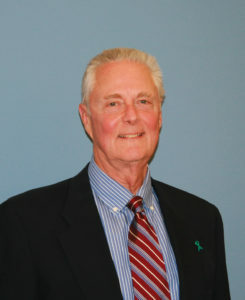 During his tenure with WCA Tom began or coordinated several coalitions, including the Milwaukee Mental Health Task Force. He was the Executive Director of the Alzheimer’s Association for 12 years and began the Alzheimer’s Challenging Behaviors Task Force which led to Wisconsin’s first Alzheimer’s State Plan. Tom serves as chair of the Board of Data You Can Use.